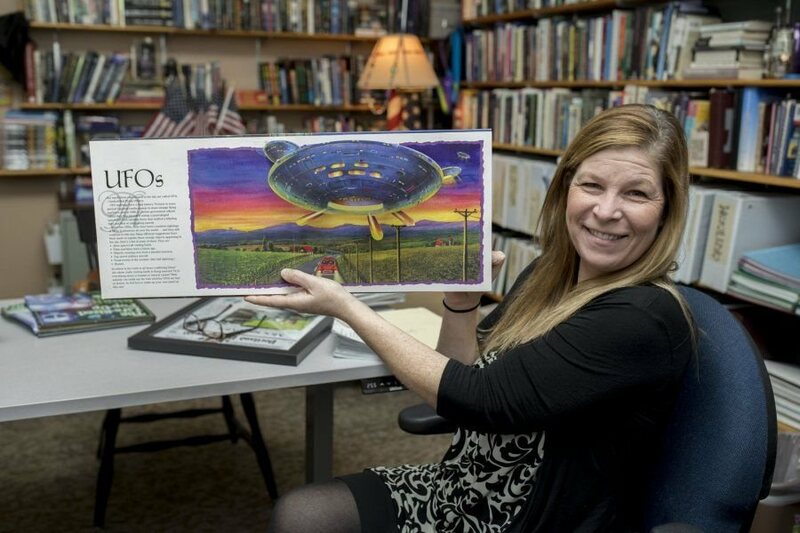 Associate Professor of Rhetoric, Film, and Screen Studies Stephanie Kelley-Romano who teaches rhetorical theory and criticism, wrote her doctoral dissertation on The Myth of Communion: A Rhetorical Analysis of the Narratives of Alien Abductees, in which she drew from 130 interviews with people who believe they’ve been abducted by aliens. One of her conclusions is that people who believe they’ve been abducted have woven a collective myth that acts as a kind of religion. The full article and interview can be found by clicking here.